Why do we need Cool Streets? Empowering communities to cool the planet, one street at a time. Winner of the Award of Excellence at the 2017 National Landscape Architecture Awards. Winner of the Award of Excellence - Community Contribution at the 2017 NSW AILA Awards. Winner of the Climate Change Action Award at the Local Government NSW Environment Awards 2016. The pilot project is a community – led implementation project developed by Gallagher Studio in collaboration with CRED Consulting, supported by Blacktown City Council. 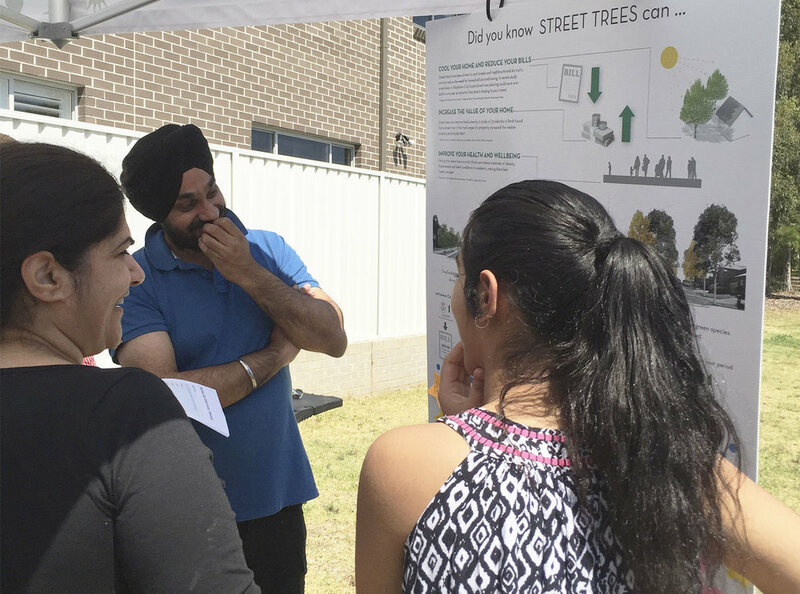 The project, undertaken in late 2015 and early 2016 was designed to empower residents to take the lead in deciding on the layout and type of trees on their street, with a specific focus on improving environmental outcomes and neighbourhood climate resilience. This pilot is part of a wider initiative called Cool Streets, developed by the project team to empower communities to cool their neighbourhoods through interactive participatory decision making. The process allowed information to be shared which helped residents to understand the options for their street. Through this process people’s preferences changes. At the outset of the project, most residents favoured a street tree planting design using small trees with the worst environmental outcomes. 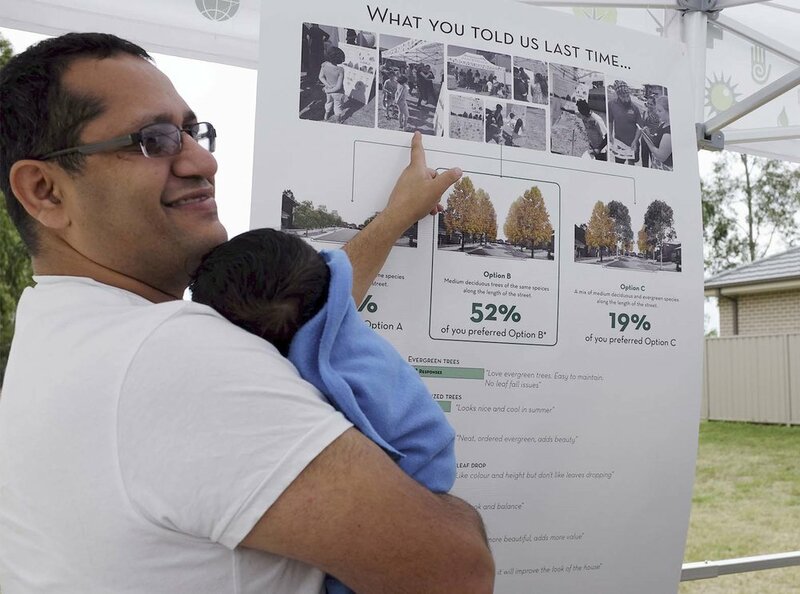 By the final consultation most residents preferred a street tree design which tripled the environmental benefits. Many people commented on how positive it was to be involved at an early stage in deciding the design for their street and how much they appreciated seeing each other’s choices. Residents said how helpful it was to be able to be part of process from the outset, and not just inherit a street tree proposal which they had had very little input into. The street events encouraged neighbours to meet one another and interact on shared decisions. This community is relatively new, with most residents moving into the street over the last year. Events brought people together in a comfortable process and encouraged dialogue and discussion.